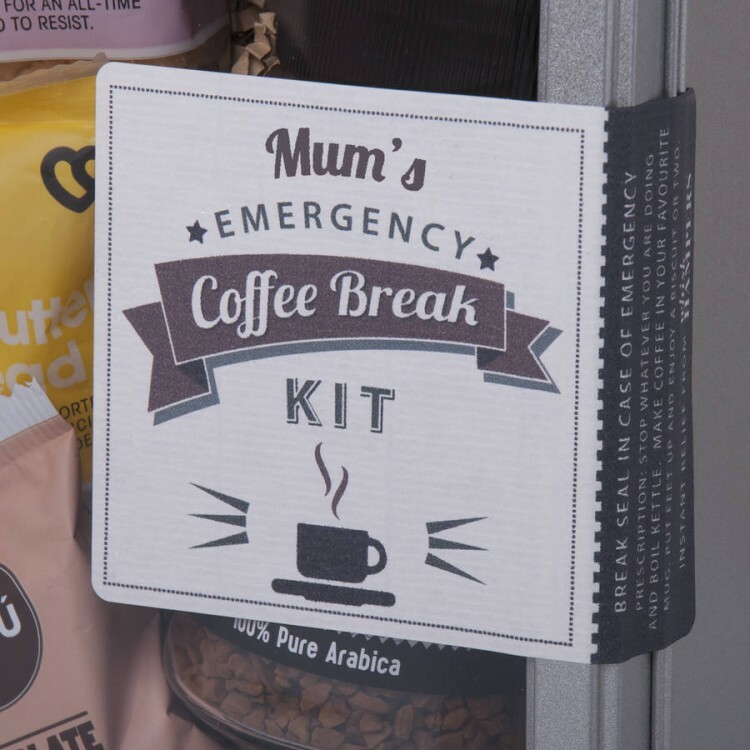 If you know a Coffee-Loving Mum who just can't function without a regular Caffeine injection, then our Emergency Coffee Break Kit is just the ticket. 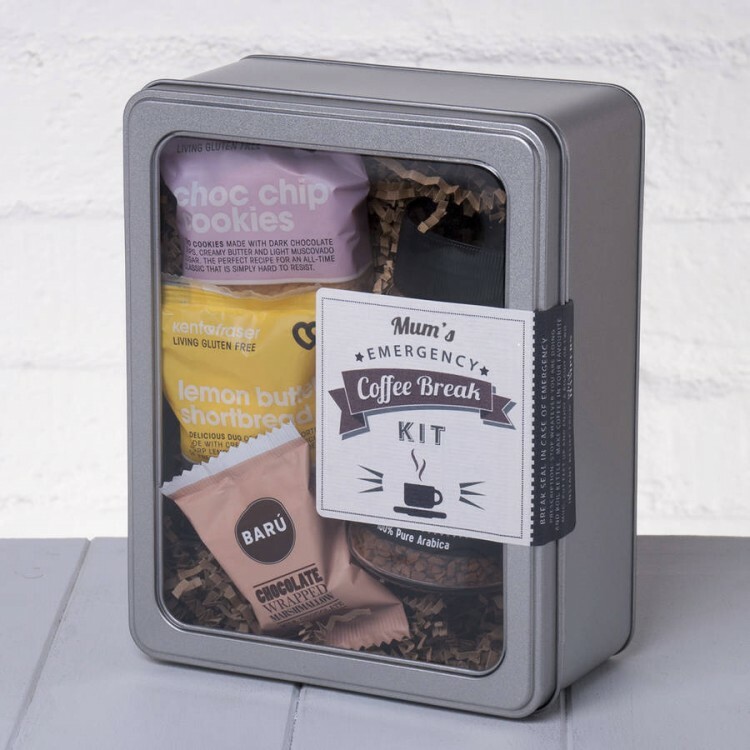 We've taken the best bits of the Coffee Break and packaged them in 'Emergency Kit' form - just picture the Coffee-loving Mum's face when she realises that you've her some 'Me-Time' in a tin. 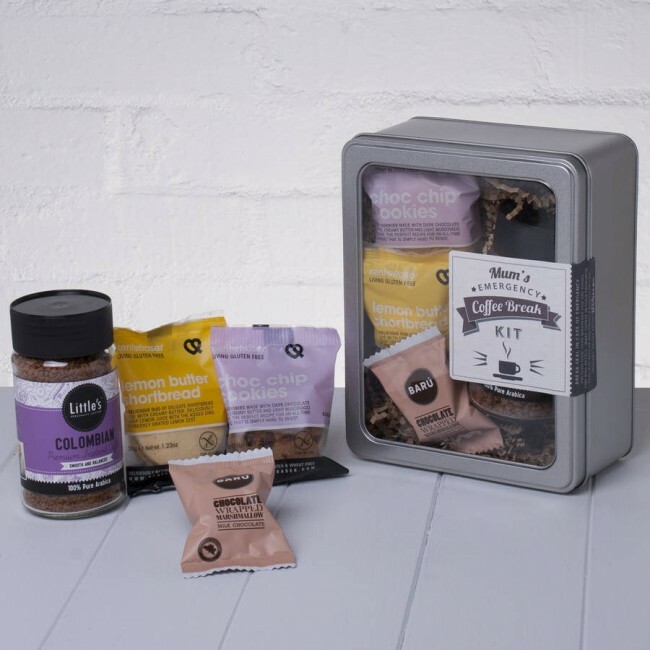 Our instant Coffee Break makes a unique Mother's Day Gift, Birthday Present or Christmas treat and is a fun way to let a special Mum just much she means to you. Once the kettle is on, all the lucky Mum has to do is break the seal on her Emergency Coffee Break Kit and she'll be enjoying a restful, relaxing and restorative Coffee Break in no time! We've chosen a rich Colombian Coffee and combined it with some tasty biscuits and a Chocolate Covered Marshmallow to finish. 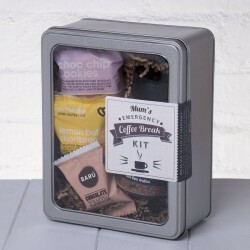 Presented in a stylish window tin lined with kraft shred and finished with a 'Break Seal in Case of Emergency' label, it’s a ‘ready to give’ gift - you can even add a personal message and specify delivery direct to the lucky Mum.